Has 30 recipes, 2 public recipes. Has 321 flavors in inventory. Tw2k supports All The Flavors. Upgrade yourself. 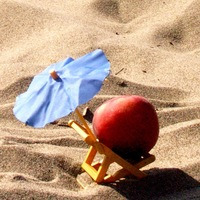 Succulent peach, hanging out on a beach with a pineapple and other tropical pals. Cool Menthol or Koolada to taste. A cinnamon crunch cereal with marshmallows. 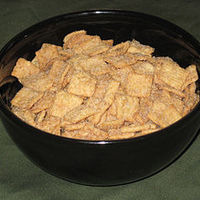 Cinnamon Crunch (Flavorah) is a fantastic standalone flavor. This recipe builds on it with Cream for some milky creaminess, Marshmallow for sweetness, and 1 drop Rich Cinnamon per 15ml. All the additional flavors are optional. The balance between the fruits is delicious, and it's a unique flavor profile. Thanks. Best recipe I've had with Blood Orange as the main profile. Really well balanced with the cream cheese icing and marshmallow. After 200ml, it certainly qualifies as an ADV for me. Thank you. I've tried a few horchata recipes, and this one hits the profile best. Well balanced, rich, and creamy--the cinnamon put it rightfully on point. My search of a great horchata is over. Thank you. I adore maple bars. I was vaping a batch within 30 minutes of seeing the recipe, and can attest to it being a SNV. The Zeppola brings out the best in FLV Maple Bar, and it's just the right sweetness. Looking forward to see how it develops after a steep. Thank you for sharing this decadent recipe. This german chocolate cake shines. I've struggled to find a well balanced % of Chocolate Deutsch, and I think you did with 0.4%. Not overpowering, and splendid supporting creams. Thanks. A delicious, creamy peanut butter vape. LB is my favorite ice cream flavor, but am curious to sub with HS French Vanilla Ice cream and push the creaminess even further. Thanks for the tasty recipe. Delicious. A rich and simple vanilla. Thank you. Only needs one word to describe it--delicious. FLV PB has a tendency to be overpowering to me, but the percentage in this recipe is low enough that it's deliciously balanced with the vanilla and banana notes. Quite the delicious pineapple mix--finally a use for my LB Baker's touch. Thank you.